My goodness i have been very remiss on the blog the past few weeks. Crazy with final stuff for kids' school and kindy things, knitting (i've taught myself and am now addicted! ), and getting ready for the drive to Wellington for the Christmas period! 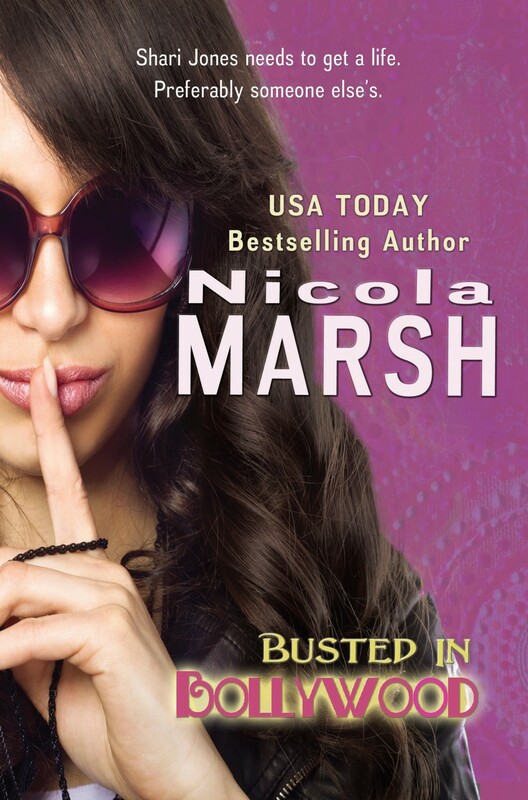 On Dec 6 Nicola Marsh's new contemporary romance hit the shelves! This story is written entirely in first person narrative by the leading lady Shari Jones. This fantastic book is available from Book Depository (free worldwide postage! ), Barnes and Nobles, Amazon and Kindle. For those you love a humorous romance with a good dollop of culture and heaps of food, this is the novel for you! Shari Jones needs to get a life. Preferably someone else's. Single, homeless and jobless, Indo-American Shari agrees to her best friend's whacky scheme: travel to Mumbai, pose as Amrita, and ditch the fiancé her traditional Indian parents have chosen. Simple. Until she's mistaken for a famous Bollywood actress, stalked by a Lone Ranger wannabe, courted by an English lord, and busted by the blackmailing fiancé. Or so she thinks, until the entourage of crazies follows her to the Big Apple and that's when the fun really begins. Shari deals with a blossoming romance, an addiction to Indian food and her first movie role, while secretly craving another trip to the mystical land responsible for sparking her new lease on life. Returning to her Indian birthplace, she has an epiphany. Maybe the happily-ever-after of her dreams isn't so far away? Go on, get yourself a copy today! !